9. Upon successful completion of the fitness test, you will be asked to submit your Individual Development Plan (IDP) for review by the team. The IDP format will be provided and can be submitted online. 10. Candidates will be scheduled for a Land Navigation Competency Course that consists of both written and field tests. 11. 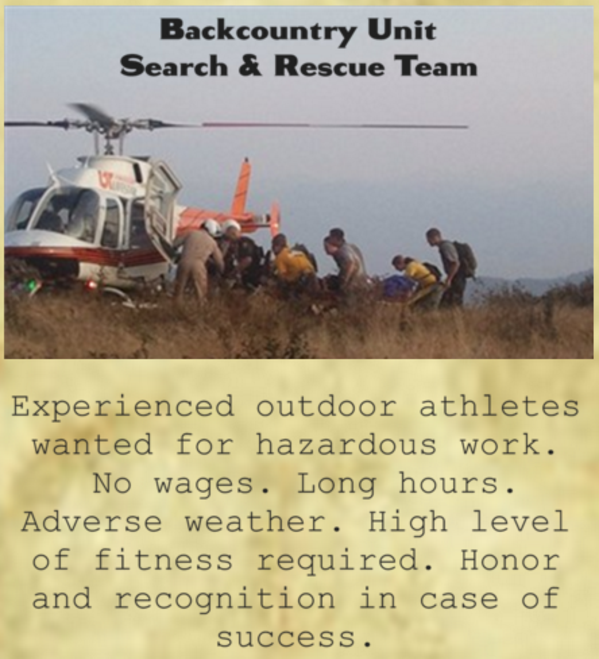 Resumes, interview notes, references, certifications, fitness scores, Land Navigation Competency Course (LNCC) scores, and Individual Development Plans will be reviewed and team member openings offered to qualified candidates. 12. If accepted onto the team, then you will have to complete the final online training (Aviation 100) and administrative paperwork. There is a six month probationary period and new team members will be required to provide their own operational gear during this time.